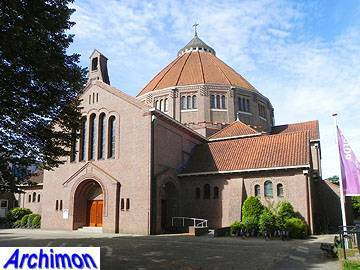 Three generations of the Cuypers family built churches in Bussum. 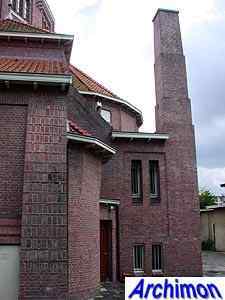 But while P.J.H. 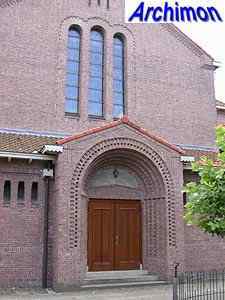 Cuypers' St. Vitus was closed and rebuilt into apartments, this design by his son and his grandson now is Bussum principal catholic church. 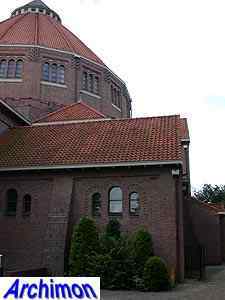 Although usually called Mariakerk, it's also known as Koepelkerk ('dome-church') for obvious reasons. 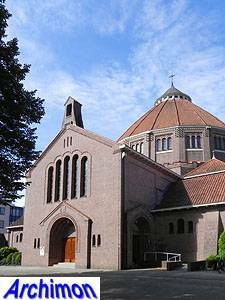 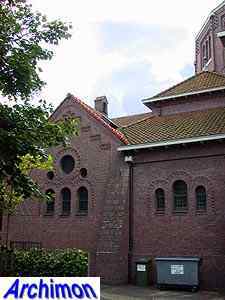 It was built as the second parish church of Bussum. 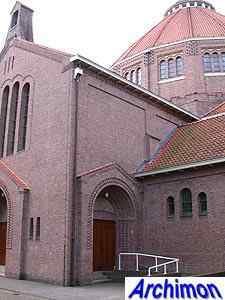 The church has a mostly square ground-plan, with a cruciform central space and additional spaces filling the corners of the square. 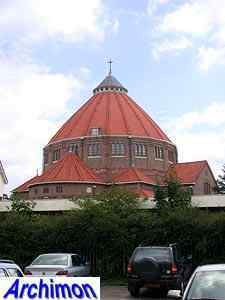 The central space is covered by a large polygonal lantern with a dome. 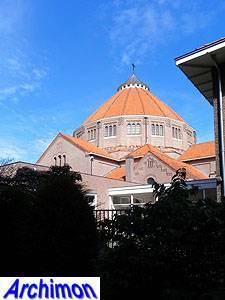 Windows are remarkably small, as the central space is illuminated from above by the windows of the lantern. 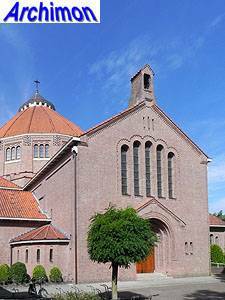 Of special interest is the choir which, although quite small, is probably the richest decorated part of the exterior. 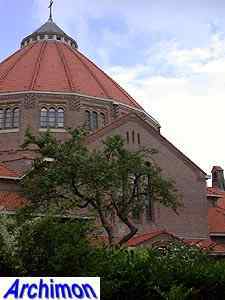 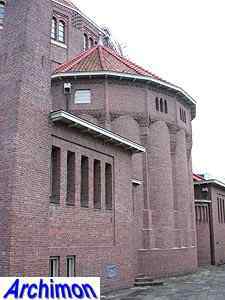 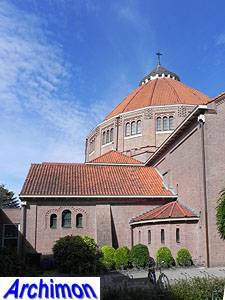 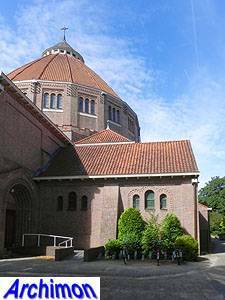 Although there are similarities to the dome-churches J. Cuypers designed for Dongen and Beverwijk, this one is the most Expressionist in style. 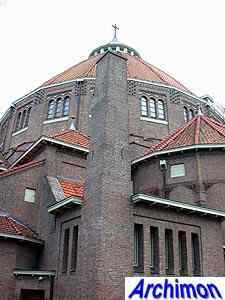 This raises the idea that Jos Cuypers made a general design, leaving the details for his son to fill in.